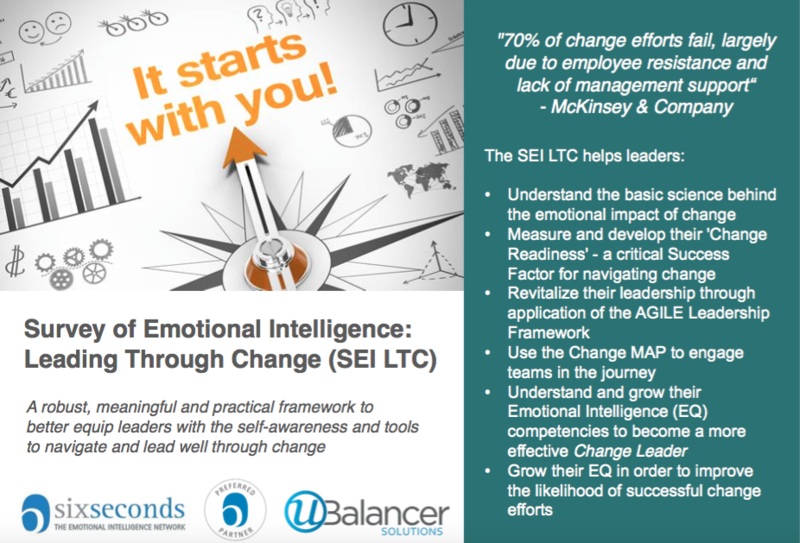 This custom emotional intelligence tool measures a leader’s Change Readiness – and provides an AGILE Leadership framework for leaders to follow as they grow their EQ competence. Everyday leaders find themselves navigating levels of uncertainty and complexity at a pace seldom seen before. This puts them under tremendous pressure because the hardest time to lead is during times of change. It is often met with frustration and anxiety, which (if not well navigated) leads to a breakdown in trust, resistance, disengagement and low performance. Change is about people, and people are driven by their emotions. There are two important questions to ask before any change is initiated. Have the leaders been prepared? How Change Ready are they and their people? There’s no point in initiating change programs within your organization if your leaders (and your people) aren’t Change Ready. Do the leaders understand change and the emotions that fuel positive change, as well as those that spiral it into a disaster? Do your leaders have the emotional intelligence skills to navigate and lead well through uncertainty? 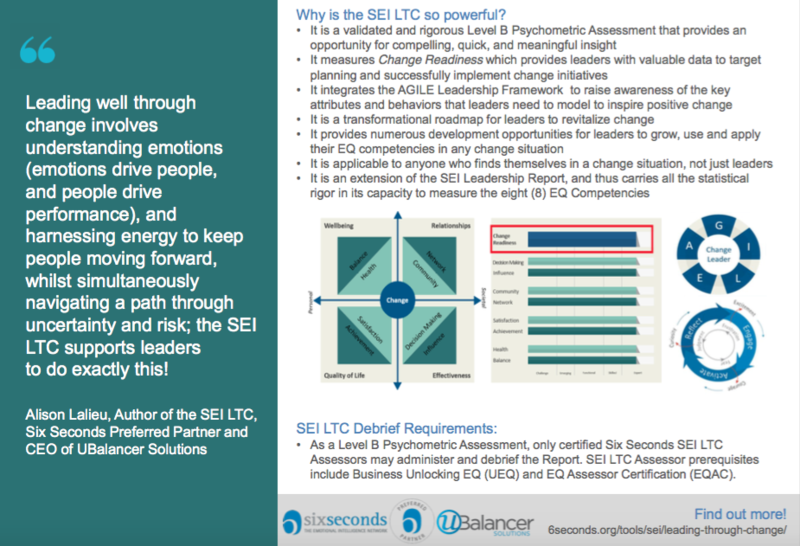 The SEI LTC has been designed to measure leader’s Change Readiness – and provides a framework for developing the internal capacities that drive successful change initiatives. For more information about this amazing tool, contact our Preferred Partner, Ubalancer, by requesting a sample using the form below. SEI LTC brochure. Click on the image to see full size.